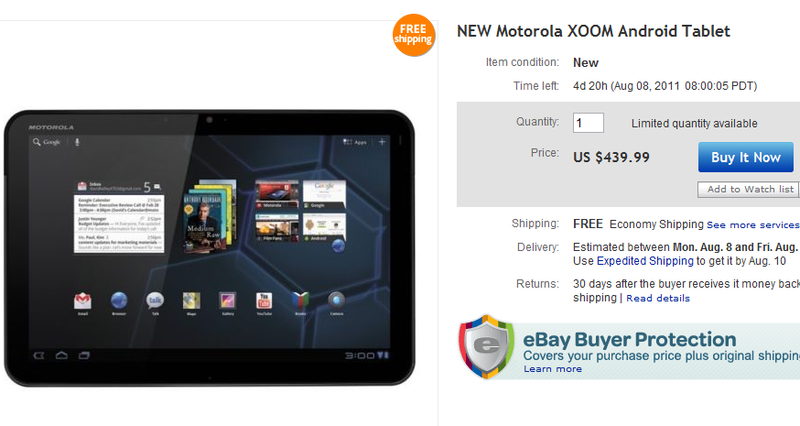 Every time we post about a deal about the Motorola XOOM, there is always a friendly group of people saying that whatever the asking price is set at, it’s still too high. We see where you’re coming from, so how does this new price sound? Only $440 for a brand new, in box wi-fi only XOOM. Seems like robbery in my book, but we could just be biased since we see the 20 pound Honeycomb rocking beast as sort of an icon. Anyone gonna pick one up? Samsung Fascinate Retired at Verizon, New Device Ready to Take its Place?